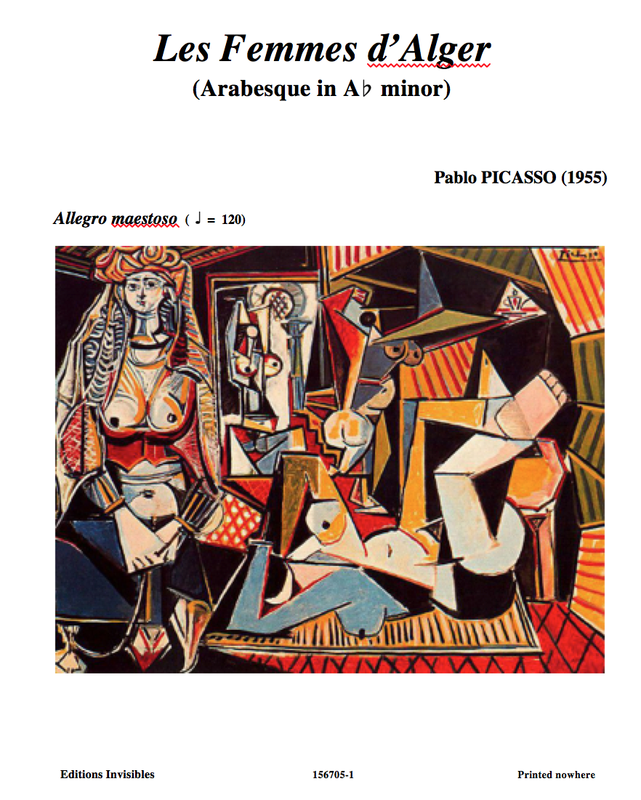 For my next lunchtime recital I’m playing Picasso’s ‘Women of Algiers’. Fiendish but groundbreaking stuff. Small venue; tickets from £2m (standby available 90 minutes before the performance).